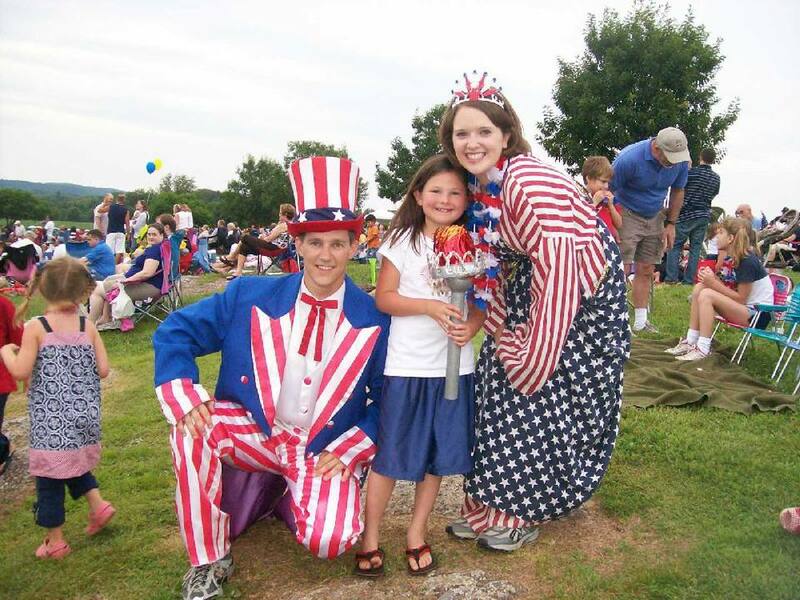 Leesburg, Virginia celebrates the Fourth of July with a patriotic Independence Day parade, live music, and a spectacular fireworks display. If you're in the Capital Region this Independence Day and want to avoid the crowds of the city, you can head out to this historic town for a day full of entertainment. Festivities in 2018 kick off at the parade on Wednesday, July 4 at 10 a.m., which starts in Downtown Leesburg's Ida Lee Park before continuing down King Street to Fairfax Street. Later in the evening beginning at 6 p.m., activities continue at the park with a live music concert followed by a firework show. Whether you plan to spend the holiday week staying in one of the area's many hotels, inns, or resorts or you want to head out from Washington, D.C. for a day of patriotic fun, this Virginia town is a great place to enjoy Independence Day with your family. Starting Your Day: Getting to Leesburg From D.C. Located about 33 miles west of Washington, D.C., the town of Leesburg is home to a number historic sites like the only remaining ferry over the Potomac River, which has been in operation since 1828, and the Marshall House, once owned by U.S. general and diplomat George Marshall, who won the Nobel Peace Prize for his commitment as Secretary of State to post-war European recovery. Getting to Leesburg from Washington, D.C. is a fairly straight shot once you leave the metro area. From downtown, simply take the I-66 West for about eight miles, then keep right to continue onto VA-267 W toward Dulles Airport and Baltimore. You'll then need to stay in the right two lanes (to continue on VA-267) for about five miles before taking exit 19 to merge onto VA-7 West, known as the Leesburg Pike. After about 20 miles, you'll continue onto East Market Street, which runs directly through the center of downtown Leesburg. Parking is available for Ida Lee Park at the park itself as well as in the lacrosse field, at the Loudoun County Garage, at the Town of Leesburg Garage, and at a limited number of street-parking spot scattered throughout the downtown area. If you want to enjoy the most out of your trip to Leesburg for the Fourth of July, you should plan to get to the city earlier than the parade start-time at 10 a.m. Since streets will begin closing down for the annual event at 9:30 a.m., its advisable to try to find parking by that time to avoid any confusion or delays on the road. Additionally, the American Originals Fife and Drum Corps will be performing at the intersection of King and Market Street as an opening act for the parade starting at 9:45 a.m. The parade should end around 11 to 11:30 a.m., leaving plenty of time to explore the area, take in a few sights, and grab a quick meal (or enjoy a picnic) before the night's festivities begin. A lot of locals spend the entire day at the Ida Lee Park, but you might also enjoy visiting White's Ferry, the Oatlands House, and Garden, or the Ball's Bluff Battlefield if you're a fan of history, the Leesburg Corner Premium Outlets if you enjoy shopping, or one of the local wineries, vineyards, or breweries if you'd rather spend the afternoon sampling wine and beer. At 6 p.m., the gates at Ida Lee Park Recreation Center will open for a special Independence Day Celebration headlined by Party of Four, a cover band specializing in hits from the 80's and 90's. The concert will begin at 6:30 p.m., and there will also be a full food court will be onsite with funnel cakes, ice cream, barbecue, and other goodies throughout the event. The big draw of the night, though, is the annual firework show that launches at 9:30 p.m. over Ida Lee Park. Choreographed to music, the display will last between 15 and 30 minutes, but guests are encouraged to show up a little early and stay a little late to help with traffic into and out of the parking lots. Be sure to bring blankets or lawn chairs so you can settle in and enjoy the show. Alternatively, you can become a member of Morven Park, a historic 1000-acre estate once occupied by state representatives, where they'll be offering a special "Sparks at the Park" event for members and their families. Sparks at the Park allows guests an even less crowded view of the firework display as well as access to the grounds (which will be closed to non-members). Family Fun at the Loudoun County Fair!